It’s no secret that Grand Theft Auto V remains incredibly popular, but as noted in Take-Two Interactive’s earnings report for the fiscal second quarter 2018, it's now the “all-time best-selling video game” in the US. In among the details of the company's financials is news that Grand Theft Auto V has sold 85 million units, an increase of 5 million since the last figures were revealed in May. That kind of jump would be impressive for any game, but it's even more amazing when you consider GTA V was first released on the previous generation of consoles back in 2013. "According to The NPD Group, Grand Theft Auto V is now the all-time best-selling video game, both in revenues and units, based on combined U.S. digital and physical sales across PC, console and portable," the report says. 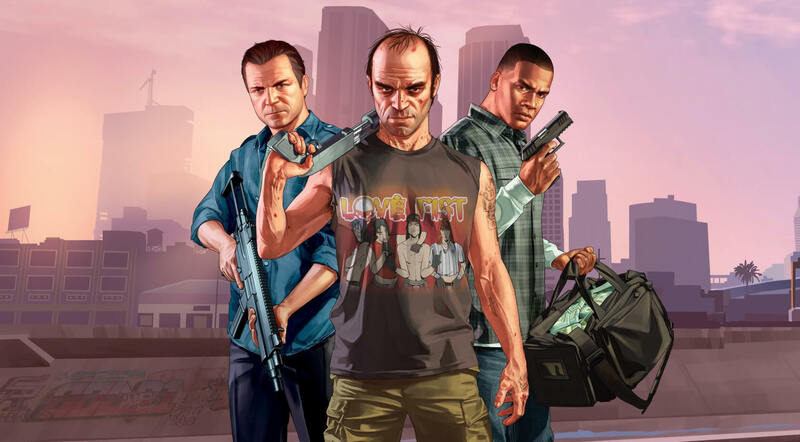 The figure means GTA V has now surpassed Wii Sports in terms of sales. Nintendo’s title sold 82.8 million units, though it did have the advantage of being bundled in with the Wii console. If you include mobile sales, only Minecraft (122 million) and Tetris (170 million) have sold more copies than the latest entry in the GTA series. As for the other parts of Take-Two’s financial report, the firm posted revenue of $443.6 million for the quarter, up from the $420.2 million it posted last year. Recurrent consumer spending, which covers virtual currency, add-on content, and microtransactions, grew 66% year-over-year and accounted for 48% of total net revenue. Despite all this, the company recorded a loss of $2.7 million for the quarter, down from the $36.4 million profit it made during the same period last year.